There has been quite a bit of talk about the environment recently and the word ‘green’ seems to be everywhere. You’ll find advertisements for an environmentally-friendly car, refrigerator, air-conditioner, computer, light bulb and anything else you can imagine. Companies are even promoting their products by claiming that recycled materials and RoHS certified components were used in the design. In reference to saving the planet and conserving its resources, an interesting article has been published in Natural News regarding the amount of water needed to produce milk – 2000 gallons of water for 1 gallon of milk. 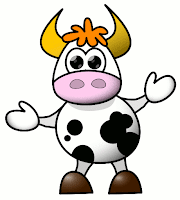 The cow needs water to perform basic biological functions from day to day, and only a fraction of the water the cow consumes is actually converted into milk. The fact that it takes so much water to produce cow's milk means that anytime you or any consumer chooses to drink milk, the burden you place on the natural environment is a thousand times greater than if you were to consume water itself. Drinking one gallon of milk is like pouring 1,999 gallons of fresh water down the drain. Besides this, there are several health and ethical reasons to avoid consuming milk. Look out for a future post on this topic. Meanwhile, you may consider browsing through Dino’s previous posts about the environment.